Help us bring this billboard to Detroit! Over the past year we have received many requests to host a quality, pro-intact billboard in an ideal location in Detroit during the next year while the FGM trial takes place. While we do not typically feel that the exorbitant costs of billboards in less-traveled areas are worth the payout (especially when traveling billboards cost a mere fraction of the amount and are seen by just as many in large metropolitan areas; or maternity expos at large venues reach thousands of expecting mothers for pennies-to-the-dollar of a billboard), this is one exception. 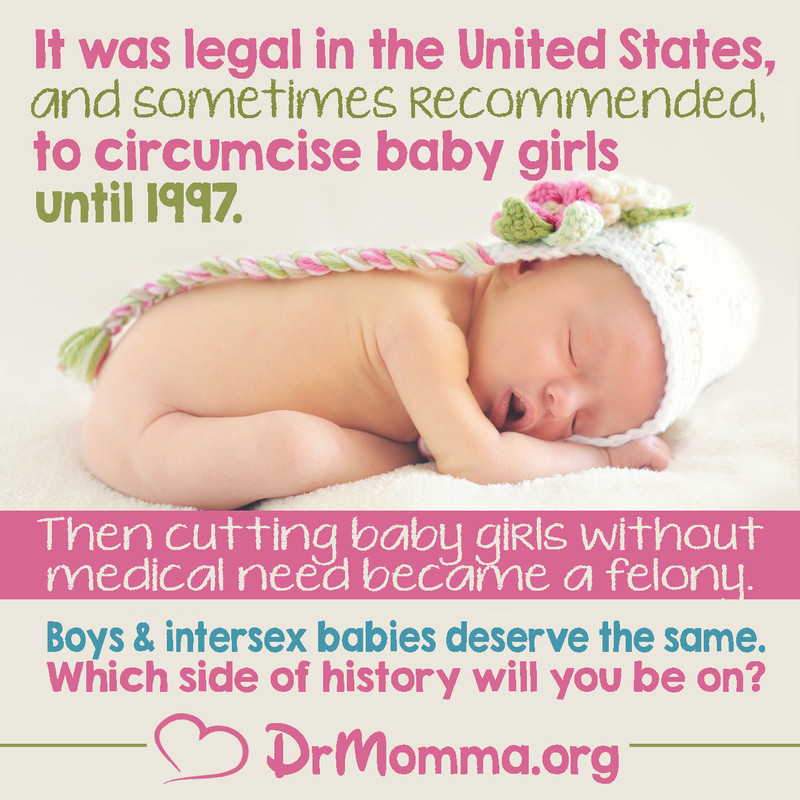 The FGM case is a landmark one that is sure to receive national media attention, and is an ideal time to draw the connection between all forms of genital cutting. In addition, the trials take place in a Michigan location that is deep in the heart of a cutting culture (see Jonathon Conte's map here). For these reasons, we set out to accept template designs, and a number of ideas and examples were presented. Through various focus groups and public forums, a billboard (its wording, colors, domain, and image) was selected that reflects genital autonomy for all, and stirs people to think about this subject from another perspective in the midst of the FGM trial. Please feel free to message the Saving Our Sons Facebook page with questions or concerns you have. • The neutral colors of baby's fingers wrapped around an adult's finger represents babies of all sexes, and reinforces the message that all babies deserve protection. 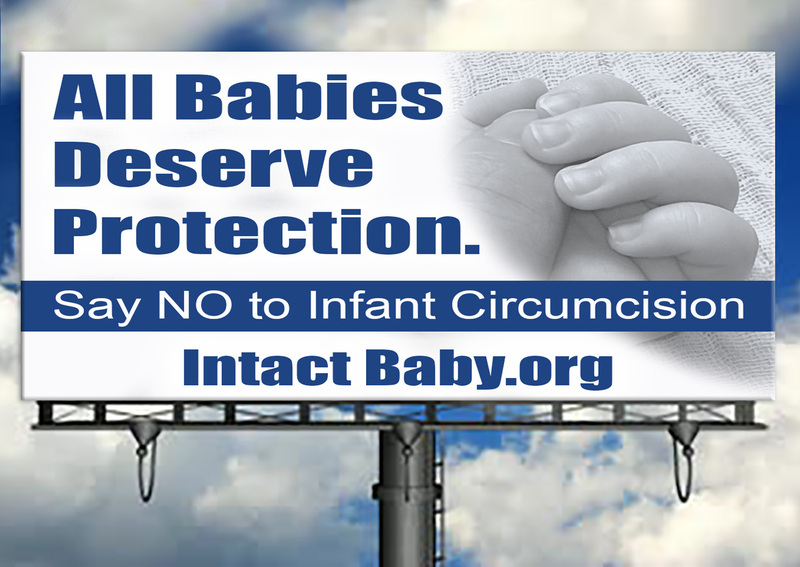 • The tag line 'Say NO to Infant Circumcision' was chosen because it will not be lost on viewers. 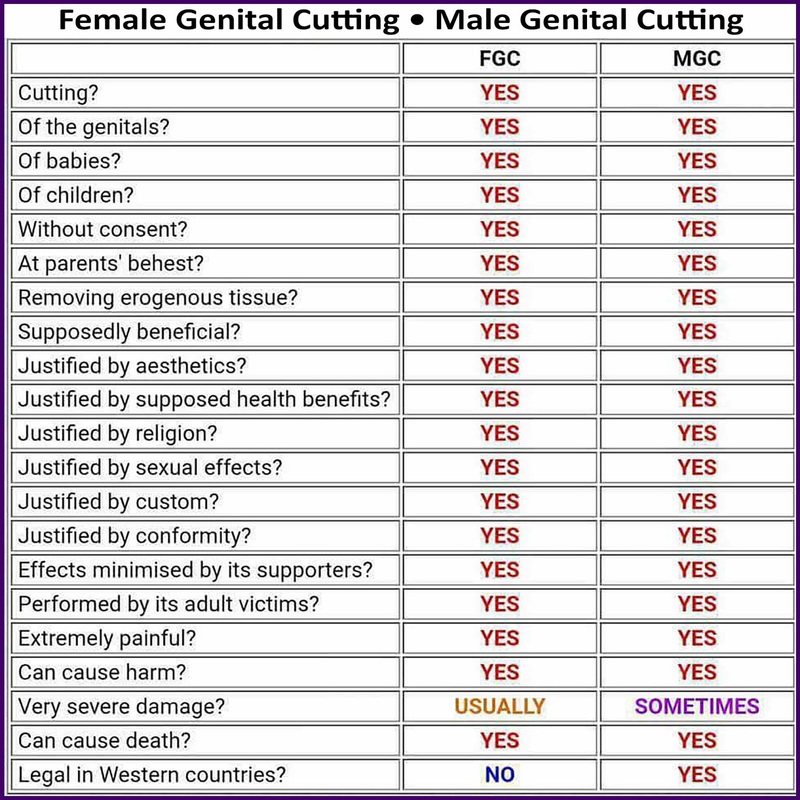 While we prefer to use the term 'forced genital cutting' or 'genital mutilation' over its euphemism, most in Michigan (and the U.S. at large) agree that female genital cutting/genital mutilation is wrong, and the phrase does not stir the same emotional response in people. The concern is that they would see it in relation to the trial taking place and think, "Yes, cutting girls is wrong..." not making the bridge in thinking to this being about boys and intersex babies too. Because this is a billboard (not a personally held sign or face-to-face interaction), it needs to quickly move people to think and be curious enough to check things out themselves. A professional billboard is needed that will result in the most awareness raised in a positive manner, the most parents empowered with information they've not previously been privy to, and, ultimately, the most babies saved. • The color of text was chosen because it has been shown in graphics studies to be most quickly read and retained by the human brain, and because it reflects the culturally-stereotypic color for boys. 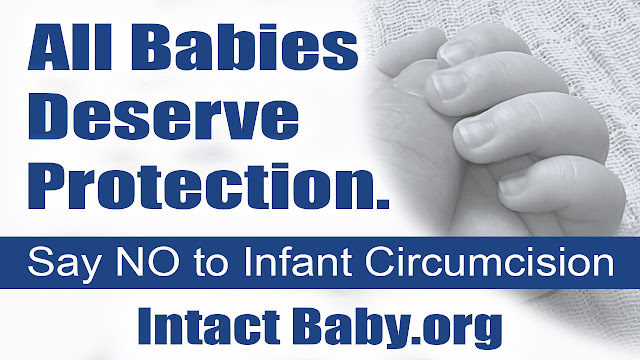 • The IntactBaby.org domain brings the ubiquitous term intact front and center, and is short and sweet. The website can be formatted to have material on the trial, and its relation to male genital cutting at the forefront while the billboard is in place. 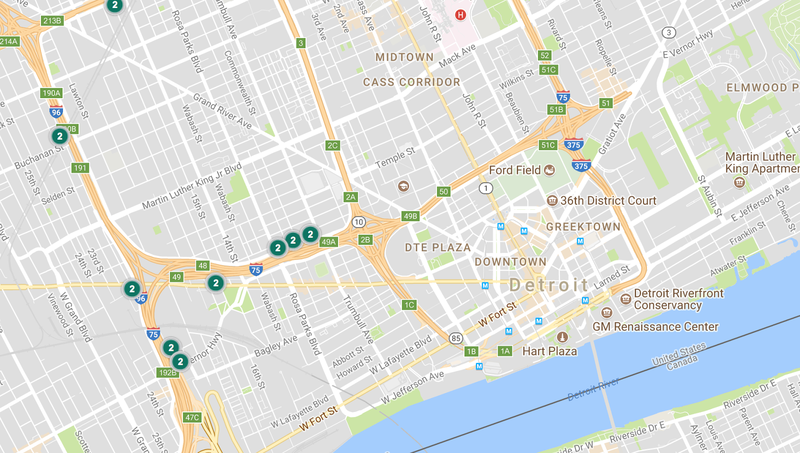 We are not expecting to raise enough for a digital billboard, which costs significantly more, so we are currently opting for a less expensive print billboard, in a prime location, heading into Detroit, as close as funding will take us to the courthouse. This will likely be $8,000 for 1 year. We have been in contact with several billboard hosting businesses for specific quotes and location options, and will update below with progress to goal and specifics as this is determined. Should we not receive enough funding for a billboard, those who donate will have the option of receiving their donation back as a refund, or have this go toward the SOS Odyssey Traveling Billboards and Rallies that will take place during the trial in Detroit. The SOS Odyssey costs approximately $1,000 per 4-5 cities covered for 3-4 event coordinators heading things up, and reaches between 20-80K commuters per day, depending on location. Thank you for your generous donation to erect this intact billboard before the trial begins! ★ Michelle and Chris M.
★ Jennifer and Chris D.